Bite-sized and just so cute! 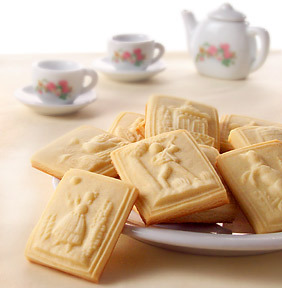 13 mini images that make perfect little cookies for afternoon tea. Oh, who can resist a smiling daisy or a handsome stag? Other images include a puppy, a hot air balloon and more. Available in lemon or anise flavour.